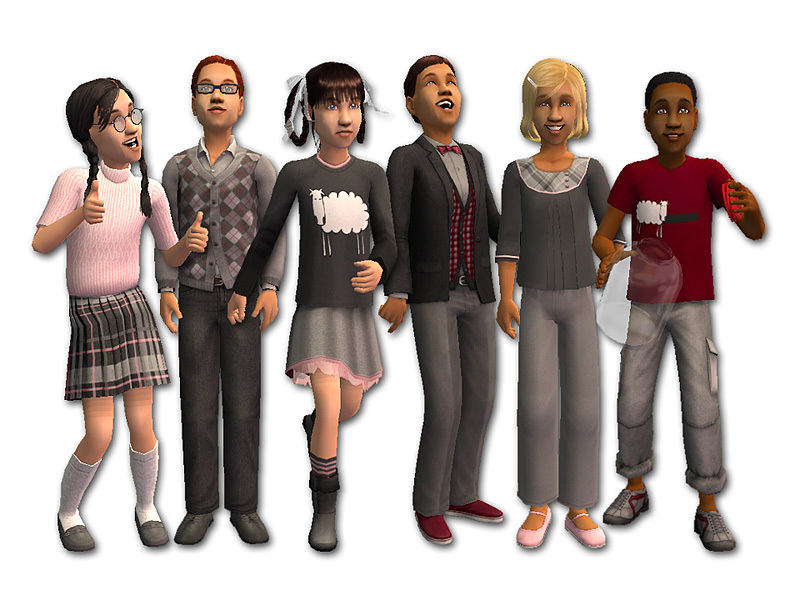 Here are six new outfits for your Sim kids. There are three for girls and three for boys. Each one uses a new mesh. 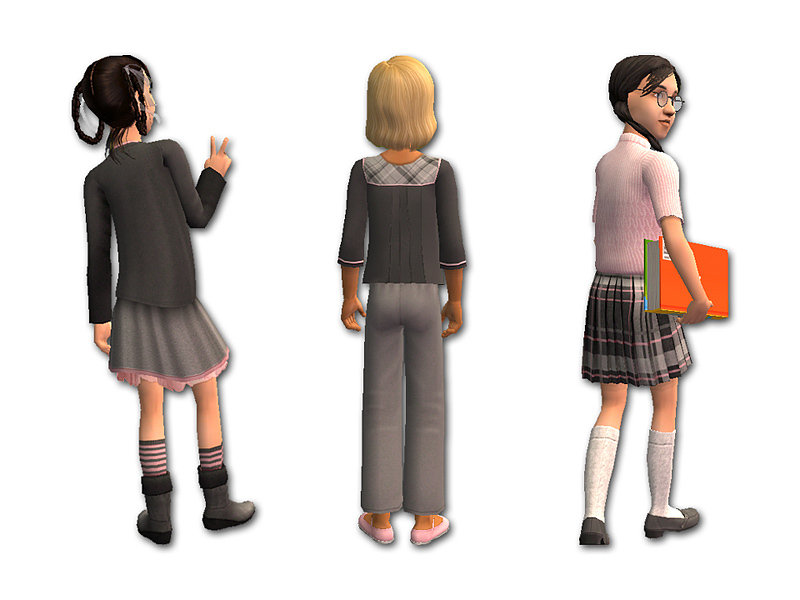 For the girls, I've made: a sheepish logo tee with a skirt, striped socks, and soft leather boots; a pleated top with a plaid yoke, loose pants, and pink Mary Jane shoes; and a short-sleeved turtleneck sweater with a pleated plaid skirt, knee socks, and grey loafers. 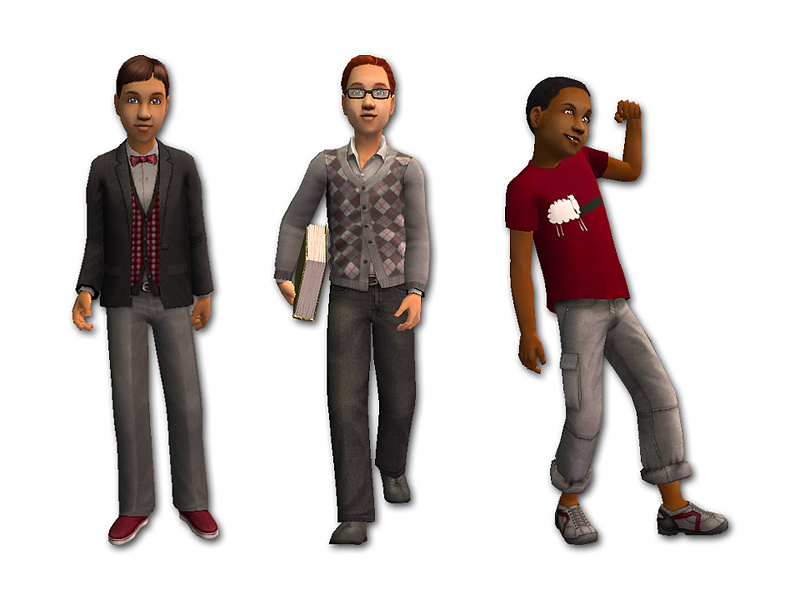 For the boys, I've made: a dark grey blazer over a sweater vest and bowtie, with pants and casual red shoes; an argyle cardigan sweater with dark grey jeans and comfy shoes; and a red sheep tee with rolled-up pants and grey sneakers. 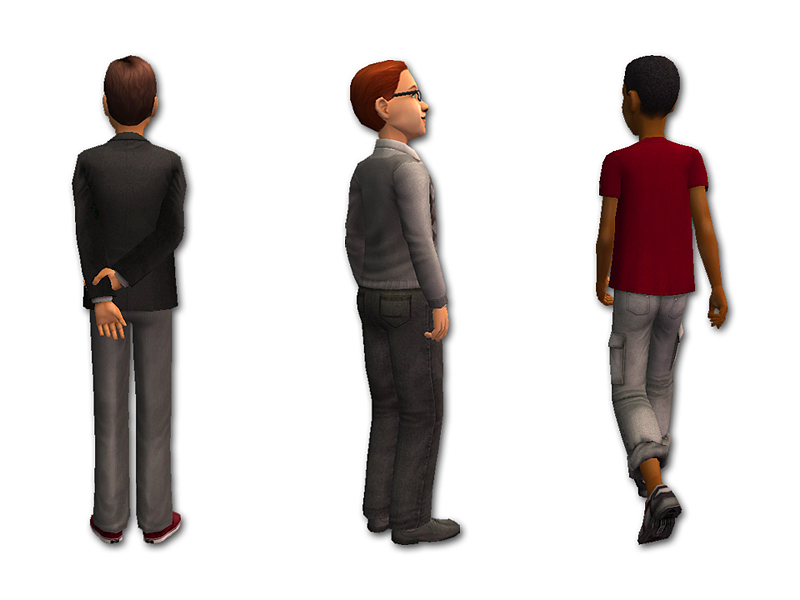 A fat morph is included with each outfit in each separate zip file. 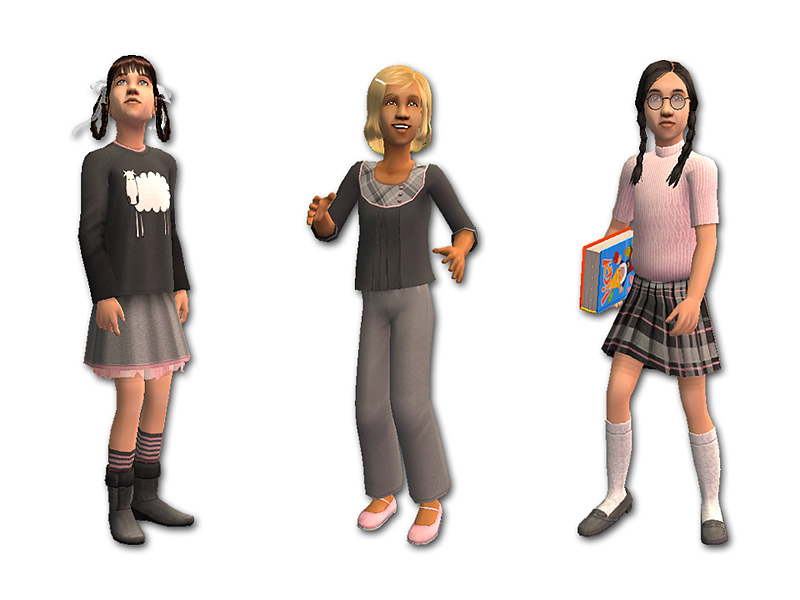 The hairstyles are by PeggyZone (free), RAONJENA Sims, SimModa, and Maxis. Glitched-Up H&M Jeans FIXED! And Untucked! For Both Genders! Triple Yay!